“My Career, My Life” presents an array of jobs in an interactive format, pairing working professionals with curious elementary and middle school students for a day-in-the-life workshop designed to help kids explore possibilities and find the answer to the question “So, what do you want to be when you grow up?” Youthentity delivers this program in several formats to elementary and middle school students. 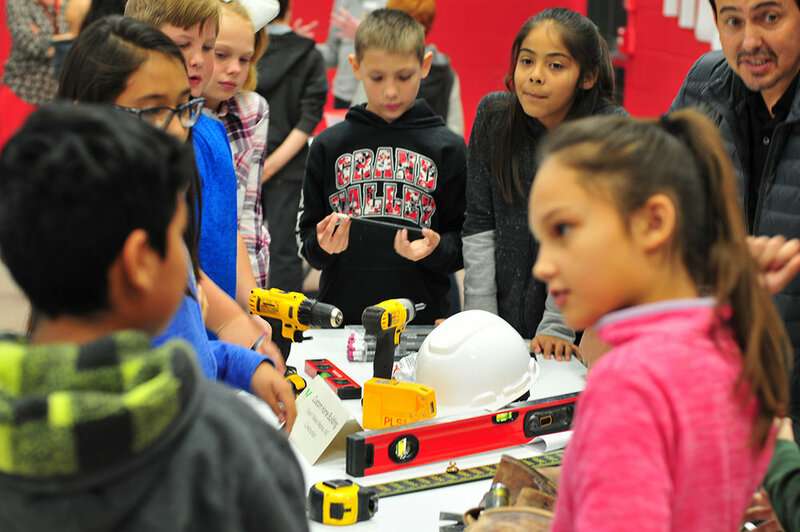 What it is: The My Career, My Life career fair is a program designed to guide elementary school students in the direction of careers that are most suited for them. We bring in professionals to tell kids what they do in an illustrative and interactive format. 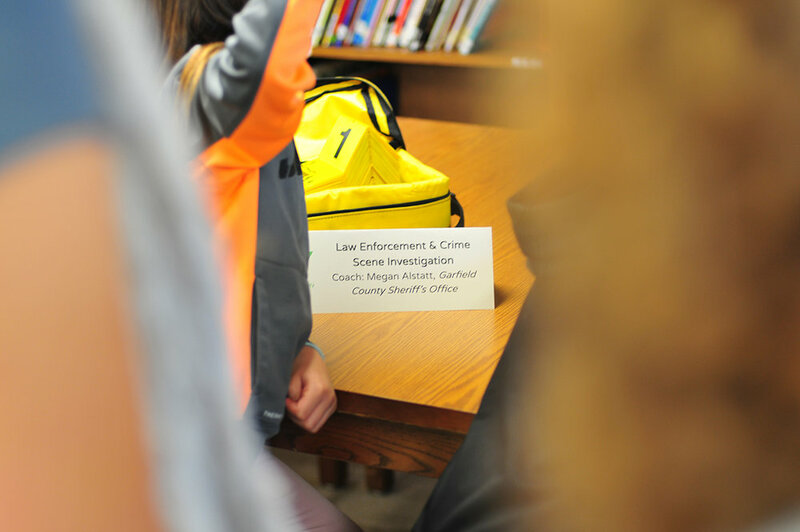 Industries presented have included interior design, forest service, construction and excavation, veterinary medicine, cosmetology, public safety and law enforcement, marketing, culinary careers and more. Students are given an assessment and assigned their individual career code: Artistic, Investigative, Enterprising, Realistic, Conventional and Social. By learning which three career codes best fit their personalities, students begin to understand what careers they may enjoy best. Guided by their career code information, students learn about a variety of careers matching their interests and talents, and select a couple of mini internships they are interested in. 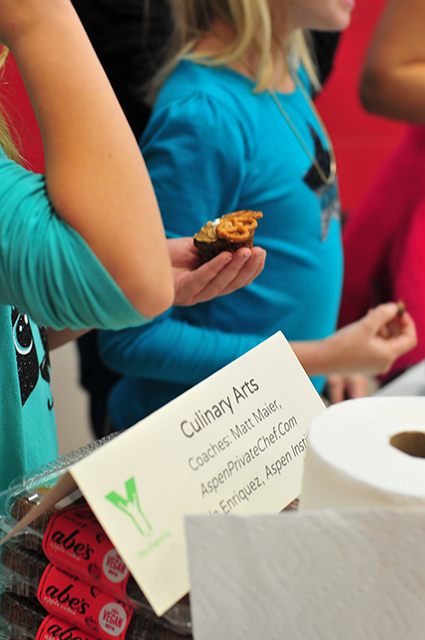 Students are matched with professionals in their desired fields of interest. What it is: Small groups of students are paired with an instructor in a particular chosen field for a mini-internship, typically lasting 1.5-2 hours. In that time, students work within real scenarios encountered in the field, learning to problem-solve and think critically. Middle schools currently participating in the My Career, My Life program are Glenwood Springs, Carbondale, Basalt and Two Rivers Community School. Interested in bringing career development to your school? Get in touch with us. Veterinary medicine, cosmetology, police work, interior design, architecture, entrepreneurship, restaurant management and culinary arts, journalism, professional dance, art creation and curation, river ecology, personal training, event planning, fashion design and chiropractic medicine.